Digital consumers are sending ripple effects through the retail industry. As they drive changes in retail, sellers must recognize how shopping behaviors are changing and improve technology, systems and organization to stay relevant and deliver on consumers’ expectations. 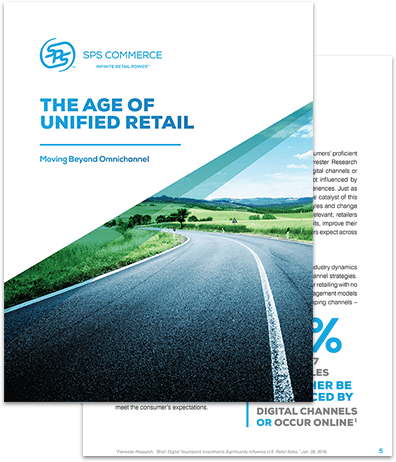 In The Age of Unified Retail: Moving Beyond Omnichannel, leading retail executives and experts explore the changing retail landscape and explain why retailers must go beyond initial omnichannel strategies to unify their legacy technology, data sources and, even, internal teams. To learn about future-proofing your supply chain to satisfy the demands of today’s and tomorrow’s shopper, download the Age of Unified Retail white paper.